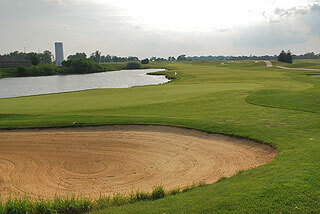 Westchase Golf Club in Brownsburg is a Ron Kern championship design that has garnered 3 1/2 stars out of 5 from Golf Digest Places to Play. This well conditioned links style layout traverses a mildly rolling terrain with ample fairways bordered by mounding and tall native grasses. 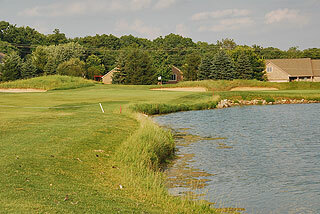 The course meanders through an upscale residential community and features 4 sets of tee boxes that afford golfers of all abilities an opportunity to enjoy a challenging and enjoyable round of golf. The design is spiced up by considerable bunkering, and features several holes with significant elevation changes from tee to green. 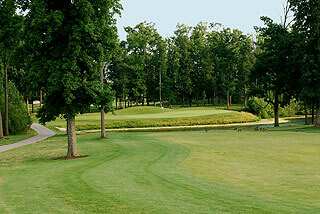 Fifty four sand traps are situated greenside or along the fairways, and water comes into play on nine holes. 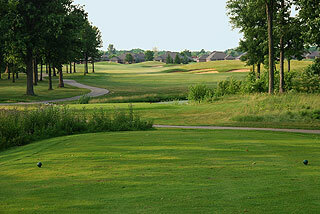 The mildly undulating greens are bent grass, as are the fairways and tee areas. Fescue combines with the rye and bluegrass in the rough to add to the challenge and to provide some colorful aesthetic qualities. The cart paths have permanent markers at 100, 150 and 200 yards, sprinkler heads on the fairways are measured to the center of the green. Yardage block in the center are also provided at 100, 150 and 200 yards. 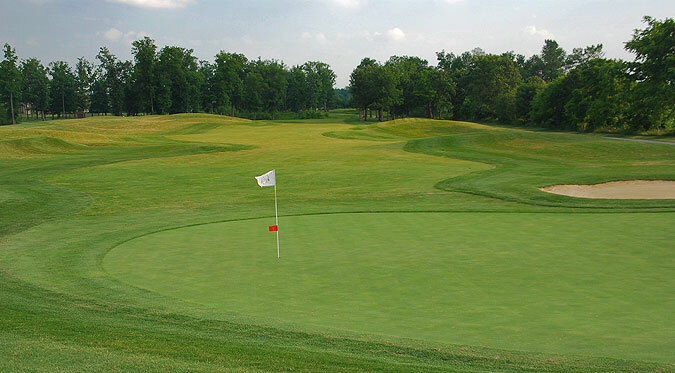 Small markers on the flagsticks indicate front, middle or back pin placement. The green complexes are varied, with some providing open fronts and others well protected by bunkers, swales and mounding that can create some tricky up and downs. 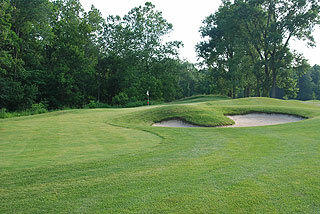 The putting surfaces are medium to large in size, and are generally mild in slope and undulation. 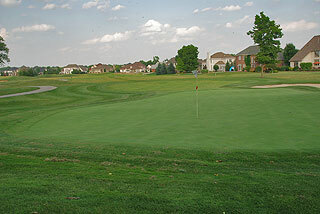 The layout is quite open in nature, with wind often playing a significant role. Golfers will encounter wide fairways with abundant landing areas, which is conducive to fast play and helpful to mid and high handicappers. Players can choose to play from tee areas that measure in distance and slope 6700 yards/129 slope, 6239 yards/124 slope, 5755 yards/117 slope for men and 125 for women, and 4839 yards with a slope of 112. 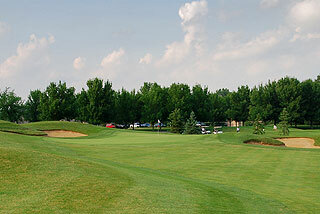 Facilities include a practice area with grass range, putting green and short game area with sand bunker. 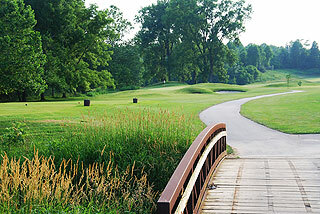 The clubhouse includes a pro shop and snack bar with patio that serves beverages and hot/cold sandwiches. Green Street Catering provide menus for outings and banquets/special events that can accommodate up to 200 people in a separately furnished building with full kitchen and bar facilities. Rates at this course are extremely reasonable, making it a good value for the area. For more info, visit our page for Westchase, with direct link to their website by clicking here.